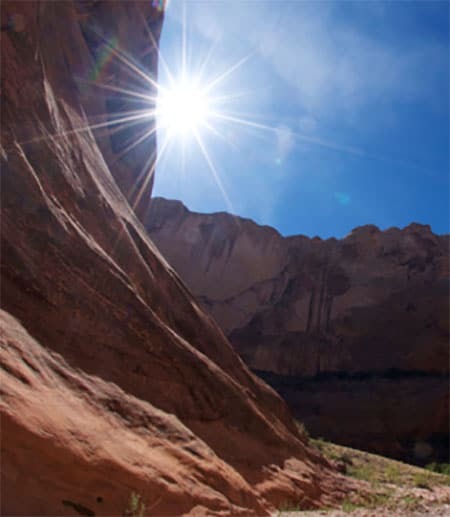 A hike in a spectacular Utah canyon got Shimon Edelman thinking: Humans crave novelty; boredom creates unhappiness. But if happiness is only possible through the pursuit of new experiences, what role does memory have? The professor of psychology says we can’t have it all when it comes to happiness, identity, and extreme longevity, and explains why we’ll have to give up one to keep the others. “Identity, Immortality, Happiness: Pick Two” appeared in the Journal of Evolution and Technology. In the paper, Edelman lays out a philosophical argument: Forethought confers an evolutionary advantage. Animals who can plan ahead survive better. This explains the evolutionary value of the human drive for novelty: learning new things helps us become better at forethought. And new experiences make us happy, which reinforces their value – emotions, after all, evolved to regulate behavior. But because this kind of happiness comes about only when we experience something new, such happiness can only be felt episodically, rather than constantly. The problem, according to Edelman, is that continued novelty is a challenge to our memory capacity, which is finite. If new experiences are required for us to feel happiness, and we are living longer and longer, then some of the stored content of our experiences must be lost to make way for new content. And if our identity, as Edelman and others contend, is constructed in part by cumulative life experience, such loss of memory has implications for our identity. If technology eventually results in prolonged lifespan, the finite nature of our memory system implies that we must either give up our quest for novelty and thus our happiness, or else give up the integrity of our identity. Edelman calls this the “Rufus Trilemma,” after the protagonist of a short story by Jorge Luis Borges, “The Immortal.” Any sentient species – natural or artificial – “must eschew one of the three great gifts – identity, happiness, and immortality – so as to gain the other two.